Explore the Untouched Places on Earth! Traveling is an integral part of human life. Or, rather life is a long journey! If it is so, then why sometimes we have the urge to escape from your daily life/journey. Maybe, that’s because, in our lives we always strive to run away from the daily chaos…maybe we need to get rejuvenated for bigger plans in our life.. or maybe we want to run away from ourselves. And in this process, we search for places or indulge in traveling, which is one of the best ways to stir up our lives! While, it is impossible to explore the whole globe, still I believe there are several people who have traveled most of the places that are known to the mankind. 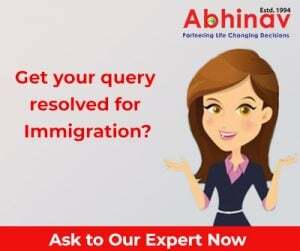 So, people out there, do you want to add some more places to your list of “already visited places”? Here, we are going to take you to a virtual trip to some of the unspoiled and least visited places on the earth. I bet, if you were not a good geography student in your school days, you have never heard of these places; if heard, then have not known about these places much! These are really amazing places and if you are really an ardent traveler, you would definitely love to visit them. And there is always more fun to explore unspoiled places! 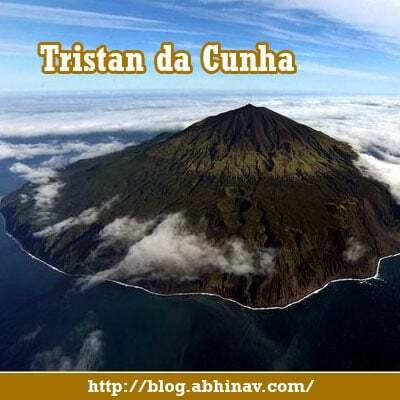 Tristan da Cunha: Basically, a cluster of islands which is 2816 km away from South Africa and 3360 km from South America. Tristan da Cunha is often touted as the remotest island on the globe. Many of you might have visited the nearest places to this island, so next time when you plan your visit, make sure you include the island in your itinerary. For your information, it lies in the midway between South Africa, Cape Town and Buenos Aires of Argentina. It is located in the South Atlantic. Now, how would you feel to be in such an isolated place on the earth, detached from the busy world and chaos? Can’t imagine?? But the reality is that people inhabit the Tristan da Cunha. Named after the discoverer Tristao da Cunha of Portugal, the island has a great history of discovery and settlement. When you visit the island, make sure you take some note of the facts. It’s interesting! Oymyakon: When your life seems miserable at –25 degree C in Canada, what would life be in the coldest place on earth? Yes, it exists in the remote village in the Sakha Republic, Siberia. 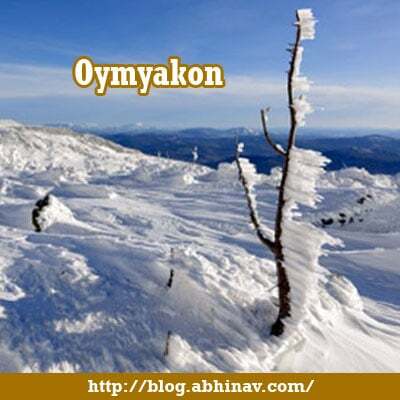 Oymyakon with average low temperature of –49.2 degree C is the coldest place on the planet. Of course, you can’t think of visiting this place without lots of fur. How would people survive this extreme condition? Pondering? You better be!! Socotra Island: When it comes to extreme places on earth, Socotra Island cannot be left out. Regarded as the “most alien-looking place” on the planet, the island is captivating enough to attract visitors with its unique varieties of flora. Located in the Indian Ocean and a part of the Republic of Yemen, Socotra is one of the most isolated islands on earth. However, the best part about this island is that it has an airport. See, you can now even plan a trip to Socotra! 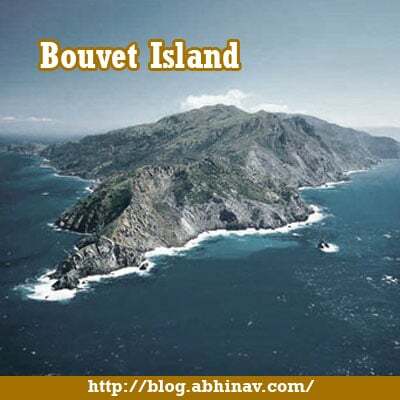 Bouvet Island: Situated in the South Atlantic Ocean, Bouvet Island is definitely a remote place on the planet. Its remoteness and inaccessibility is supported by the fact that the nearest landmass to the island is a part of Antarctica. Now, can you imagine life in such a remote place. Give your imagination an end, and let us tell you that Bouvet Island is uninhabited! However, if you are part of research groups or a traveler, you can definitely give the island a visit! Barrow, Alaska: We have always been fascinated by the stories revolving vampires, right? Now, would you like to visit a place that is known for vampire attacks, if reports are to be believed! Barrow in Alaska is a place with extreme climate, better known as Polar climate, where it is believed that its inhabitants are prone to vampire attacks, resulting in gradual dwindling of the city’s population. Sounds scary? Nevertheless, it would be a different experience visiting one of the extreme places in the extreme northern hemisphere. If you have got the guts, sure this is a place to be included on your list! The Pitcairn Islands: This is the world’s least populated country, with not more than fifty inhabitants. Situated in the Southern Pacific Ocean, this group of islands surely deserves your visit. Treats for your eyes await there in the Pitcairn Islands. These are a few examples of extreme places on the same planet where we live. If you are thinking that these isolated places are far from civilization, then you are wrong. Most of the places are inhabited, however, you cannot find dense population over there. They hold the nature at its best. With untouched and unspoiled beauty, they captivate generations of tourists over many decades! Now, it’s your turn to explore the beauty and witness not-so-common flora and fauna of these places! Immigrants Arrested in Arizona, US! Please make enough money so that I can visit these places! There are more better place to explore in the world…. These places are really incredible! I can only dream of visiting them…wonder if I would ever able to realize my dream!! Every place offers something new to explore…these places definitely seem to be worth a visit.